Fuel cells are, according to some, the answer to the future problems of energy resources. Rather than solve those problems alone, they will doubtless form part of a growing group of alternative energy sources such as wind, tidal, photovoltaic and nuclear sources which will reduce our dependence on oil. Stationary fuel cells are the kind used mainly for home, office and large-scale power plants. For those seeking a current overview of stationary fuel cells, their status and applications, market developments, market players, economics and future potential, this is where to look. 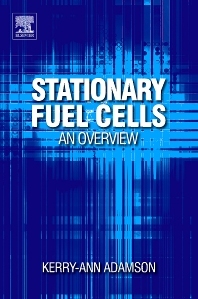 Not a purely engineering textbook, it is designed to provide potential adopters of fuel cells with the information needed to make sensible decisions, and as such it is unique.